We had our old UPVC windows replaced with timber casement windows from Derwent. Their customer service from visiting the showroom to the finished windows is first class, everything from a deposit protection policy to polite, skilful & tidy fitters. The timber windows look great and make such a difference. We would highly recommend Derwent to anybody looking for new windows, it's exactly how a company should be run but so few are. 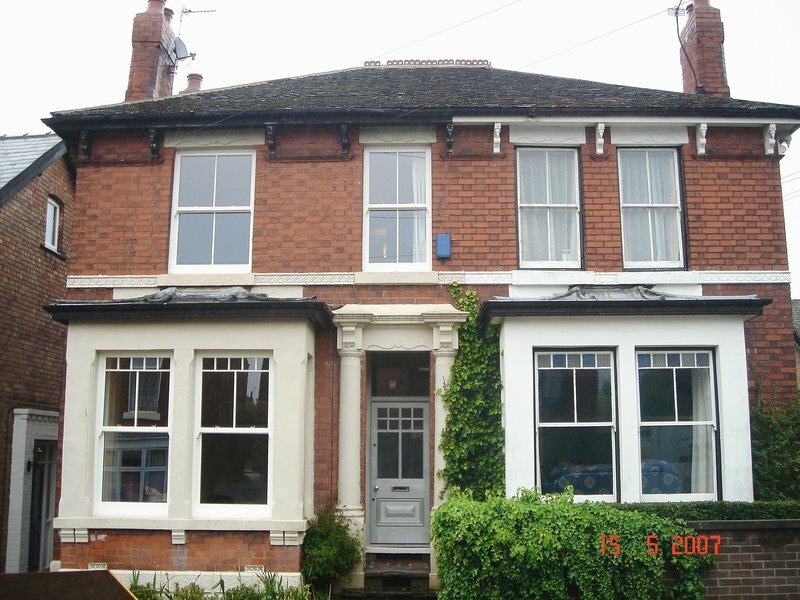 Derwent fitted 11 sash windows into our Victorian house. We had seen other houses in our area fitted with their windows which have stood the test of time; Andy clearly explained the differences between products Derwent offered and was able to guide our decision-making. The whole process from start to finish has been top quality, as are the windows. Communication has been clear and courteous, all staff have been trustworthy and friendly, and the windows enhance our property. The budget and schedule were adhered to. I highly recommend Derwent Windows. We cannot recommend Derwent highly enough. Every aspect of the work carried out renovating a number of large stained glass windows in our late Victorian house was excellent: quality of the product, craftsmanship, efficiency and cleanliness of the installation, and customer service throughout the project. Advice and guidance, and communication from the Derwent team were also outstanding from initial discussions to completion. We had a front door fitted in January and have been very pleased with the standard of care throughout the process. The quality of the goods is excellent as is the skill of the fitter, Dougie, who made a super job. We are delighted and will use the company in the future. Brilliant company from start to finish cannot commend them enough. The windows have totally transformed out property. The workmanship was brilliant and the fitters worked tidy and efficiently and are a credit to the company. Safe to say we will be using them for the other bits we plan to have done. Derwent Windows fitted a new front door for us. They were helpful and kind throughout the whole process. From the initial estimate to design details and the final fit, they have been great. We are very pleased with our new front door! We had a replacement hardwood front door and surrounding frame and stained glass encapsulation. The original stained glass windows were removed about a month prior to fitting. Expertly removed and our home securely boarded up. We are delighted with the finished product. The original stained glass and leaded window has been carefully cleaned, repaired and encapsulated and looks amazing. The new front door is also of a really high quality and finish. The fitters removed and fitted the new frame, window and door in a day, with minimal fuss. We were consulted throughout the fitting on minor details that needed a decision . We contacted Derwent Windows the following day about a small issue we had found and it was promptly dealt with. Highly recommended for quality of product. We recently used Derwent Sash windows to install Origin bi fold doors and windows. Their professionalism and customer care are excellent. All the staff that we dealt with have been very helpful and efficient. The doors and windows look outstanding and have completely exceeded our expectations. Particular thanks must go to Alister, Andy and Jan who are a huge asset to the company and have stayed in touch constantly throughout the ordering and installation process. Also the professionalism of the installation team and cleanliness in their work was equally as impressive. We also had between the glass blinds fitted by Derwent Sash windows and these really show the quality of the doors and windows. We are extremely impressed with this company and wouldn't use anyone else. Our new sash windows look just right in our 1900s town terraced house, matching the style and exceeding the quality of the original ones. The service from Derwent Windows was expert, appropriate and on time. Attention to detail was given at every stage of the process, so that the resulting windows look fantastic. Thank you. We had all the windows and doors replaced. We chose Derwent windows because they supplied Evolution windows which I considered to be the best on the market. The price was the price and non-negotiable but we considered this a positive after dealings with other National firms who's starting prices were frighteningly high followed by pressurised negotiations! Derwent were very helpful with choosing and detailing, but some confusion arose because we talked to four people, this was resolved when we asked for one focal contact (hence the 4 star rating). The installation team were fantastic, polite, helpful, covered everything with plastic sheeting and no problem was too small. All snags were resolved to our complete satisfaction.